Last week, I mentioned to my wife that I was contemplating giving up sugar for a bit. If you know my wife, you know she grew excited with this passing comment. She pounced! ‘Yes’! ‘Let’s do it!’. She wanted to do the same thing, and she was correct to note that she would be more likely to accomplish this difficult goal if we did it together. I knew the same thing could be said for me. Backsliding is easy when you make difficult goals, and having a partner both pushing you, and watching over you helps a lot. So, the goal was set: 21 days with no processed sugars! Now, let me put this to you straight. This did not mean NO SUGARS at all. Carbs and sugars are a necessary part of any diet, especially when you want to keep up the energy needed to go to the gym 5 times a week…or, like my wife, 5 hours a day, 7 days a week. 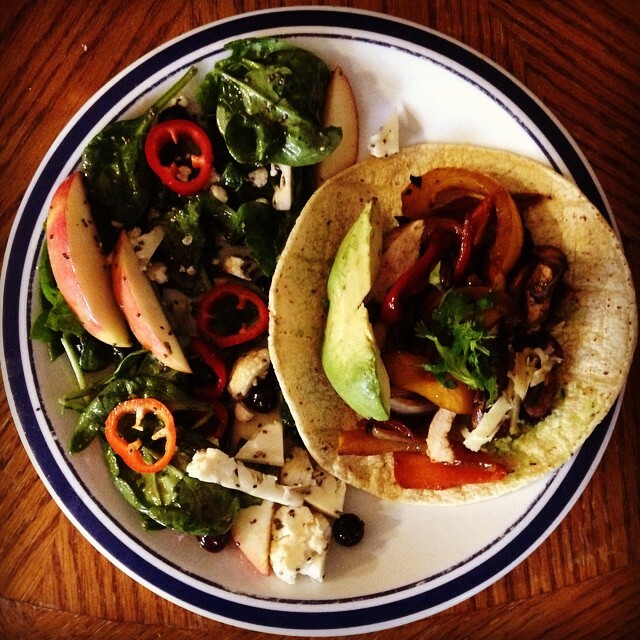 So fruit is fine for us and whole grains are a necessity. What is off limits are treats, white bread, crackers, and a litany of other foods that are always cheap and plentiful in our 21st century society. 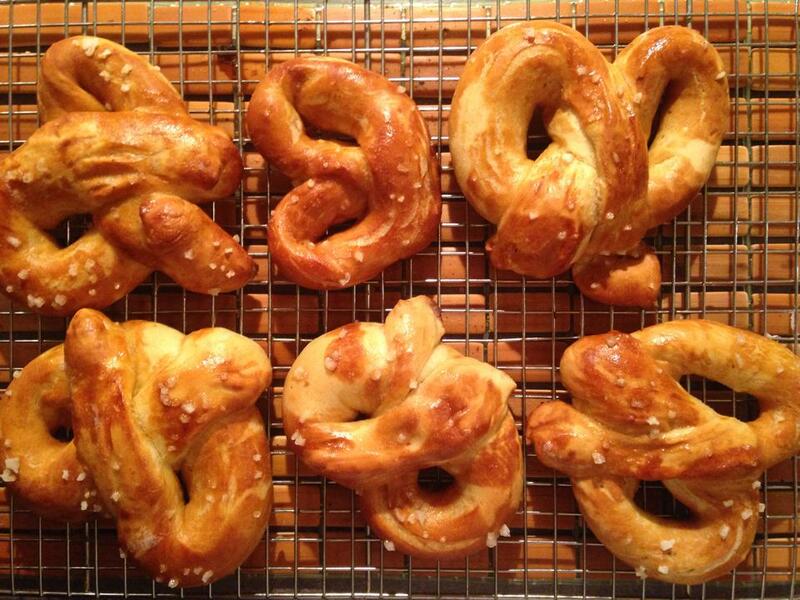 Oh, how I miss you homemade pretzels! To be fair, our eating habits were already pretty far along towards our goal. Unlike so many Americans, we never drink soda, rarely drink alcohol, and avoid fast-food like the plague. But, like so many of our national brethren, we love our pizza with white crust, the occasional ice cream indulgence, and the far too common homemade cookie. If you remember from a previous post, I like to bake bread. My bakery is temporarily closed. No muffins, cakes, cookies. Jen and I: Cereal…. 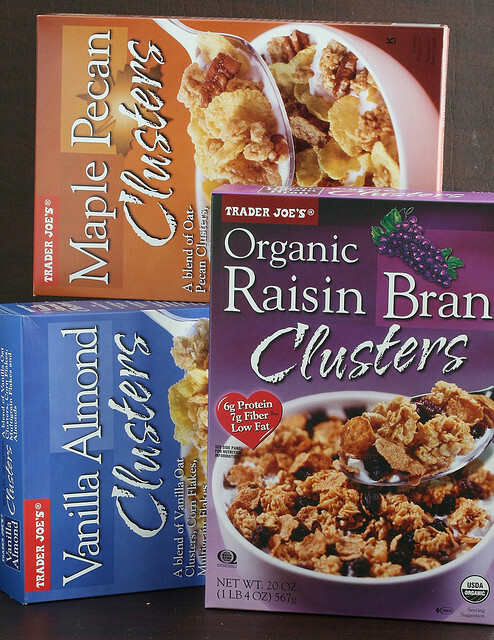 ‘Damn you Trader Joe’s and your delicious cereals (I shout shaking my fist)’. Prior to our pledge, we had been burning through 4-6 boxes a week! Holy smokes that is a lot of sugar. This weakness was the thing that pushed us to set a goal. 1. Eating sugar has false promise. I want it, but I know it never fulfills my hopes. But, it is obviously addictive. The first couple days were extremely hard to not simply pop a sugary snack in my mouth. Even when I wasn’t hungry, I still had to consciously stop my hand from grabbing some crackers. we made chicken fajitas (with stone-ground corn tortillas), and my wife and I both wanted to add hot sauces to our food. But, each of them had sugar added! Errrgghhh! 3. It is satisfying how quickly you can feel physical and mental changes without sugar! Quite honestly, my mind feels more clear, and a little of the excess fat on the body is shedding. All those useless, extra calories really do make a difference. All in all, I am pretty well pleased with our challenge. So, why write a blog about it? Well, I am not bragging, and I am not trying to shame you into any new diet. No, I figure putting this out there for people to read will keep me honest. Otherwise, I might crack and grab some of that damn TJ’s cereal. It does help to see others struggling with the difficulties of saying “no!”- it is painful, agreed. Thanks for forcing me to see this message again. I need constant reminders. I hear your struggle! In 2012 I finished my 4 years active service in the United States Marine Corps, and upon doing so I promised my wife I would stop smoking, even though I was sneaking a smoke here and there for the first few months my addiction to chocolate came out strong. Till this day I’m still fighting it but I am fighting my urge to eat sweets! My wife and myself have started a dieting plan that we have already started where we only eat one “cheat meal” a week. We agreed to this term because when I tried to succeed with this goal before I found myself binge eat all the sweets I got my hands on after cracking. So now that I’ll be off of school for the next two and half months were going to push hard with the eating healthy and spending productive quality time in the gym! Thanks for this post it helps knowing others are attacking the same goals!